At Solide Yoga you will enjoy 100% Pure Yoga and Wellness. Child, adult or pregnant? Find with us a Solid resting point using our versatile Yoga classes and courses in modest. In the field of Wellness, we offer Yoga sessions and Massages with dōTERRA ® pure essential oils. 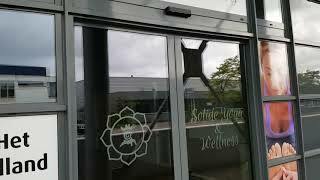 Come join a free trial lesson at our Yoga school located in the Centre for Yoga & Wellness at Het Tolland 4 in Wateringen.